I am always looking for new and different apps for my iPhone. I like to find apps for me and apps for my children as well. I’ve compiled a list of my absolute favorite apps and am going to share them with you. I encourage you to check them out if there are ones you haven’t seen before. 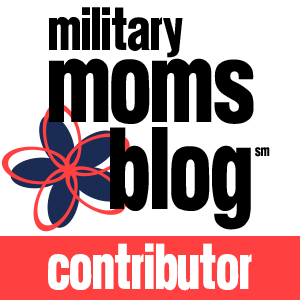 Today I’ll be featuring my favorite “mom” apps. In my next post, I’ll feature my favorite kids apps. 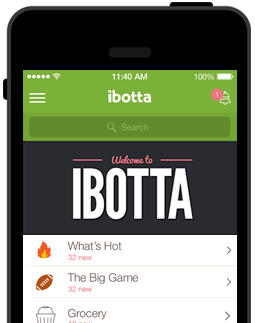 ibotta – This is my absolute FAVORITE shopping app! You can use this app for groceries, apparel, beauty & wellness, movies, restaurants, sports, crafts, and more. I use it mainly for grocery shopping. It’s super easy to use too! After you go shopping, you open up the app and find the category you want (such as groceries). Next you find the specific store and then look for the rebates they offer. You click the rebates for the items you purchased, watch a short ad video and can then redeem them. You take a picture of your receipt and then you’re done! You will then get money put into your account for each rebate. You can let your money accrue and use it in a few different ways. It can be transferred to your PayPal account or you can use it to purchase gift cards. It’s an easy way to earn money back on your purchases! 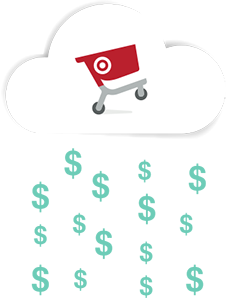 Target Cartwheel – If you shop at Target as much as I do, you need to have this app. This app gives you discounts at the store when you shop. You can check the app before you go shopping or while shopping to see what discounts are available. You select the discounts you want and it saves them. Then, you have the cashier scan the app bar code when you check out and it instantly applies the discounts to your order. Simple. Easy. Fantastic! Wal-Mart Savings Catcher – I LOVE, LOVE, LOVE this app! Can’t say that enough! This is another easy way to earn rebates and get money back on purchases. After shopping at Wal-Mart, you simply go to the app and scan your receipt. That’s it. DONE. Wal-Mart then processes your receipt and compares it to other local vendors. You will receive an email confirming your receipt is being processed. After it’s been processed you will receive another email letting you know if they found any competitors with a lower price on your items. If a local competitor has a lower advertised price, you get an eGift Card for the difference. You can let it accrue as long as you want and cash it in at any time. YouVersion the Bible – There is nothing like having your Bible that you can open and thumb through and bring to church with you. But, what do you do on days you forget your Bible at home? Or, maybe you’re out and want to look up a scripture for encouragement or read a daily devotional. This app is perfect for just those times. It’s a Bible on your phone! YouVersion allows you to read the Bible in many different versions such as NIV, the Message, NIRV, King James, New American Standard, etc. There are also a variety of devotional programs to choose from and you can even sign up to receive a daily scripture verse email. It’s a fantastic way to have the Bible right at your fingertips! Mobile banking app – I really enjoy having my Wells Fargo banking app on my phone. It’s so easy to log on and check my balance when I’m out shopping or somewhere else and need to know what my balance is. It also allows me to pay bills and deposit a check into my account. Not everyone enjoys online banking, but if you do, I encourage you to get the app for your bank. So convenient! What are your favorite apps? Leave a comment and share them! 1 Response to "Mommy’s favorite Apps"